The Supermicro SC512F chassis came with two of fans in a vibration dampening cage. 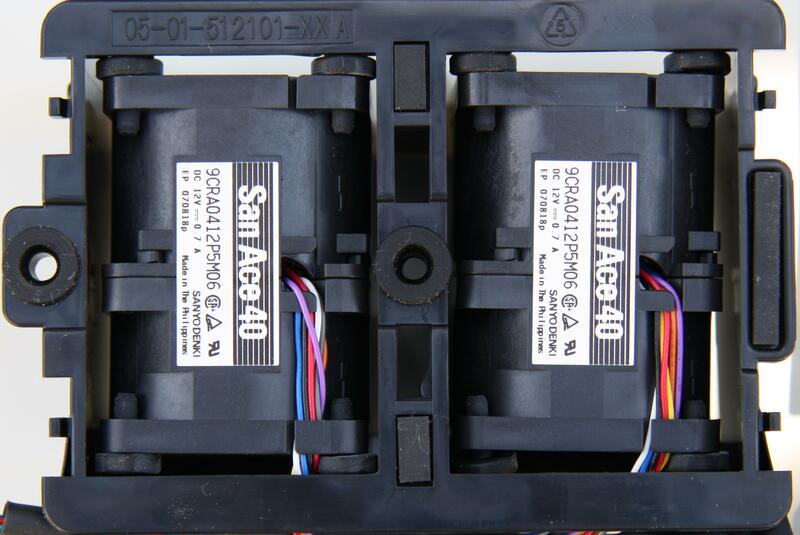 San Ace 40, 9CRA0412P5M06, 40mm x 56mm, DC 12volts, 0.7amps. No data sheet was available at the time of writing (April 2009). The fans had the following PWM vs speed characteristic. The minimum speed was approximately 1900RPM, through to a maximum of 11600RPM. 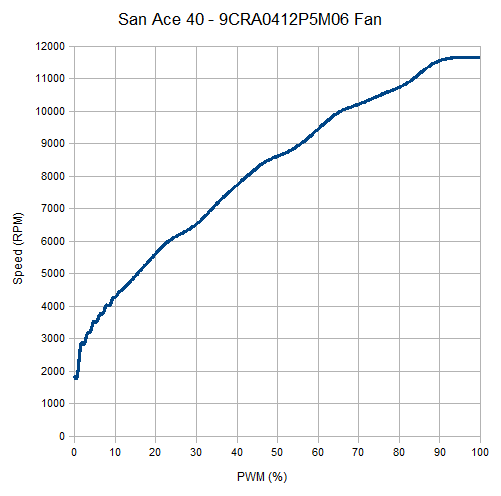 The second fan has similar characteristics, but had a top speed of 11700RPM.